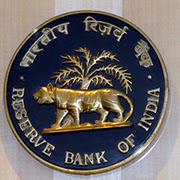 The Reserve Bank of India said an application from a person resident outside India for opening of a branch office / liaison office / project office in India will require its prior approval in cases where the principal business of the applicant is in one the four sectors -- Defence, Telecom, Private Security and Information and Broadcasting. Further, the central bank approval will be required in cases where the applicant is a citizen of or is registered/incorporated in Pakistan; the applicant is a citizen of or is registered/ incorporated in Bangladesh, Sri Lanka, Afghanistan, Iran, China, Hong Kong or Macau and the application is for opening a BO/LO/PO in Jammu and Kashmir, North East region and Andaman and Nicobar Islands; and the applicant is a Non-Government Organisation (NGO), a Non-Profit Organisation, or a Body/ Agency/ Department of a foreign government. According to the RBI, the non-resident entity desirous of establishing a BO/LO in India should have a financially sound track record. An applicant that is not financially sound and is a subsidiary of another company may submit a Letter of Comfort (LOC) from its parent/ group company, subject to the condition that the parent/ group company satisfies the prescribed criteria for net worth and profit. The LOC should be issued by the applicant's parent / group company which undertakes to fund the operations if required.